The Red House lies on the site of an old garage building, at the end of a Victorian terrace of London Stock Brick. Architects 31/44 wanted to make this new build a part of its Victorian surroundings but at the same time, to give it a modern interpretation. 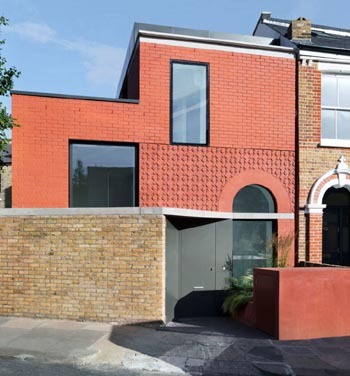 They chose a red brickwork which connects with the red detailing on neighbouring properties, and the highly decorative precast pigmented concrete panel on the front of the house matches the colour of the brickwork perfectly as well as responding to the tiled pathways of the other houses in the street. 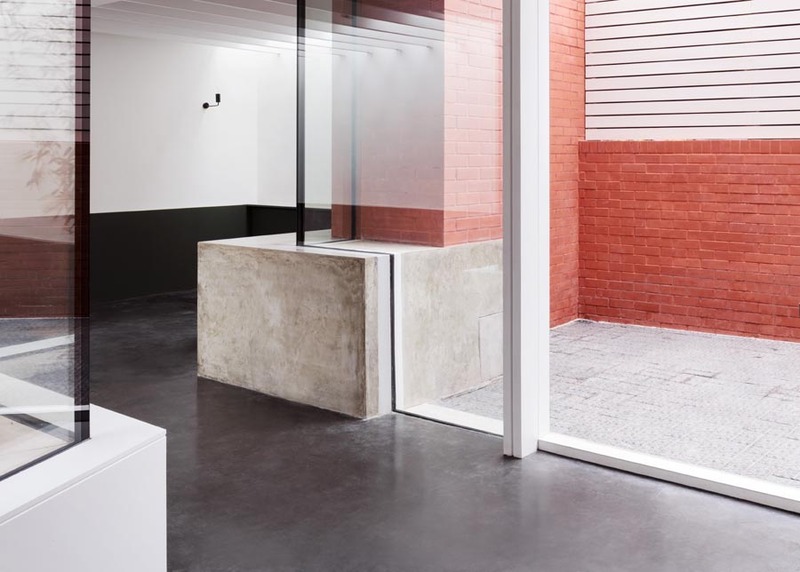 The layout of the property has been designed as a series of interconnected spaces with both a main and an inner courtyard. Both of these courtyards as well as the entrance to the property have all been paved with Ketley Staffordshire Blue Star pavers which match the intensity of the patterned concrete panel on the front façade. 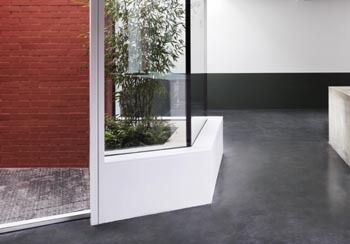 Their Staffordshire blue colour also provides a nice contrast to the red brick as well as tying in with the dark polished concrete floor of the internal spaces at ground floor. The client, Arrant Land, liked the Ketley pavers and felt they fitted well with the Victorian street. Described by Grand Design’s Kevin McCloud as a “cheeky rebel”, this project is currently shortlisted for RIBA House of the Year. It has also won the Best Individual Housing award at the 2018 Brick Awards for its use of brick.